The U.S. Department of Veterans Affairs (VA) is about to receive more puppies to abuse and kill in taxpayer-funded experiments. 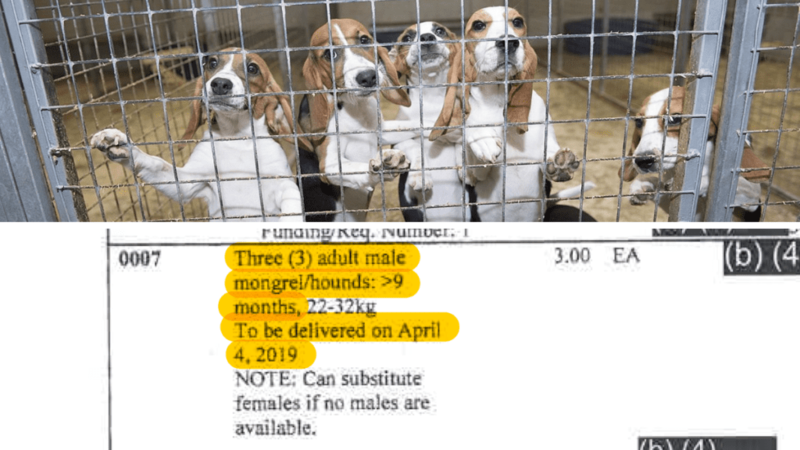 According to VA documents obtained by White Coat Waste Project through the Freedom of Information Act (FOIA), a shipment of three hound puppies as young as 9 months old is set to be delivered to the notorious Cleveland VA laboratory on Thursday, April 4, 2019. The VA is spending $6,000 of your money to buy these three dogs for nightmarish taxpayer-funded experiments in which it cuts into these puppies, damages their spinal cords, and then kills them for wasteful experiments. 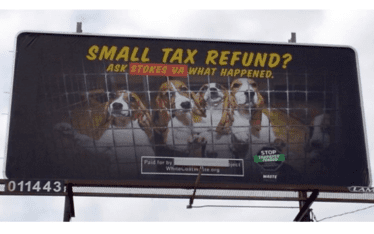 Click here to tell the Cleveland VA to cancel this shipment of puppies and end these experiments! Research is a synonym for animal abuse! Cancel shipment of puppies and end these wasteful experiments with our taxpayer dollars. Stop with cruel and unnecessary murder if innocents. The barbaric and inhumane act of experimenting on animals in this day and age is disgusting and unacceptable! Cleveland Save will be putting on a vigil for dogs the Saturday after the dogs are being delivered. This was planned out over a month ago so we are going to stick with that date. We will, however, be heading down there on Thursday as well, now that we know this information. Thank you! Stop killing age torturing these animals. This is disgusting. What goes on behind closed doors must be stopped. These puppies are put through horrendous experiments all in the name of research. These so called experiments do not help human beings, they just help some sicko scientist get his jollies!!! It’s been proven that animal testing doesn’t work and that there are better, non-lethel methods of testing. It’s hypocritical to criticize other countries for not observing animal rights while we don’t ourselves. 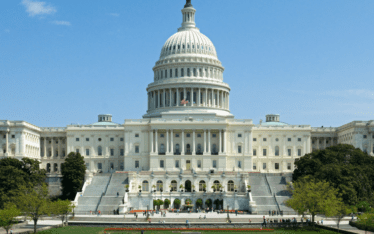 Please email your congressional rep and tell them to support HR3197 the Puppers Act of 2017. It would end experimentation on dogs. It’s a start! Please do not use my tax money for animal testing. Wait! $6000 for 3 DOGS?! No matter what they plan to do, they are already overpaying! Who says that’s okay?! These innocent animals only provide love to those willing to love them. They will provide a lesson to those who don’t. When these “educated scientists” wake up someday, they will live with a boatload of guilt, that I hope lasts a lifetime. These people who make their living will never have any guilt about what they have been doing …just hope that one day their kids will make them realize that they have lost all respect for them for what they have done to innocent animals……and all for no reason since most of the data shows that the info doesn’t relate to humans at all. Surely these scumbags know this.., but they want to keep their jobs no matter how many animals they kill and maim…and put through such unbelievable torture….pls google experiments on monkeys and dogs…..just SICKENING !!!! How do they sleep at night ?? They simply have no empathy towards these precious animals…and hopefully they will all lose their jobs and paycheques !!! PLEASE MAKE YOUR VOICES HEARD FOR THESE PRECIOUS SUFFERING SOULS. !!! Being a good Christian, or any religion, is having compassion for people and animals. My tax dollars should NOT be used for the torture that occurs under the guise of research! Put an end to this barbarism and stop that shipment of innocent animals. Leave these innocent animals alone …..Stop these hideous experiments! Experiments need to Stop on Dogs, Cats, other small animals! Use the prisoners in death row, ket their lives be useful to mankind! Leave the Animals alone!!!!!! These experiments on animals need to stop now. Sick mother fuckers all of you need to be in jail and anyone else who might be involved!!! Stop the cruelty, abuse, & inhumanity. 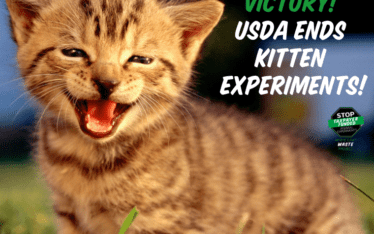 These experiments hurting innocent animals must stop now! Find them loving homes instead! Shame! Why don’t you just experiment on yourselves…maybe you will then appreciate what you put these poor animals through. You are disgusting, shame on you. Monstrous and unethical for what purpose…there is no purpose in what is being done other than torture of poor defenseless animals, no data can be obtained other than how much pain that can be inflicted, truly disgusting yielding no worthy data. Stop this sadistic abuse om the sweet creatures and find your humanity again!! Stop this cruelty. No need for this at all. Shame!!! !